Combine the oils, miso, lemon juice, agave, onion powder, mustard powder, and crushed garlic in a bowl and whisk to combine. In a separate large bowl, massage the kale well for a couple of minutes to soften. The kale should take-on a ‘cooked’ broken down appearance. 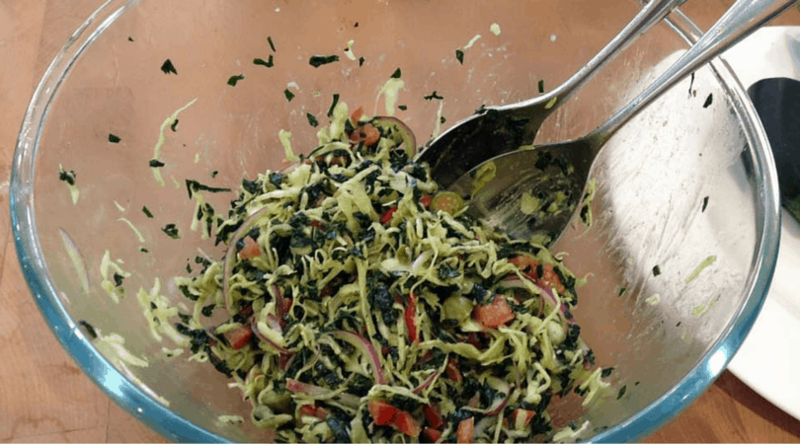 Add the cabbage, tomato, jalapeno, red onion and salt to the bowl of softened kale. 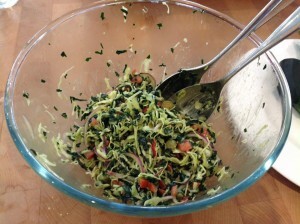 Pour the dressing over the mixture, toss, and season with salt to taste. Garnish with optional capers and serve.